Looking to buy a home? Here are ten essential tips for making the process as smooth as possible. Buying a home is a financial & emotional decision that requires the experience and support of a reliable professional. When you are considering buying a new home, a Phipps Realty agent will be happy to meet to discuss your needs and expectations, ensuring you will be happy and comfortable working together. 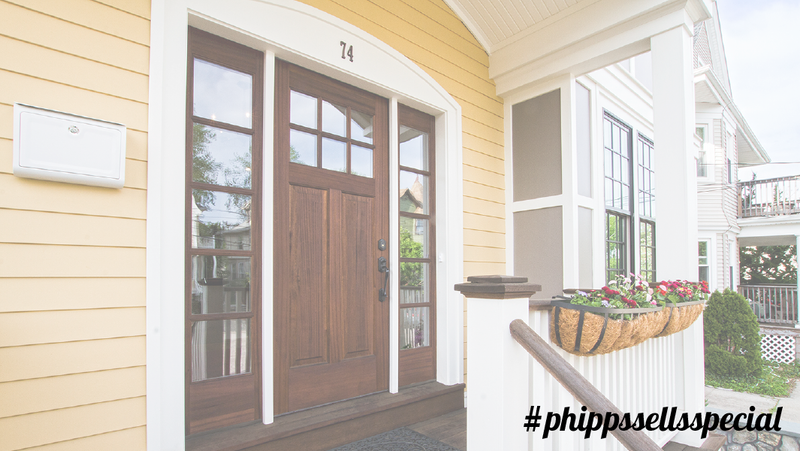 Once you feel comfortable with a Phipps Realty agent, you’ll want to establish a proper business relationship. Your agent will provide you with complete agency disclosures, explaining the ins and outs of your relationship, as required by the state. If you are not buying your home in cash you will need to finance the purchase, and consulting with a mortgage lender is a crucial step in the process. A mortgage lender can help you figure out how much you can afford, conclude what your monthly payments will be and pre-approve you to make the purchase. You will want to ask for the different loan options they have available and what works best for you. Next, the fun part! Your real estate agent will help to narrow your home search based on your needs and desired neighborhoods and schedule appointments to view homes. It’s a good idea to visit homes at various times of night and day, on weekends and weekdays, to get a feel for who lives there and what the activity level is like. When you find a home you love, it’s time to make an offer. While much attention is paid to a home’s asking price, a proposal to buy includes both the price and terms. Terms are extremely important and should be reviewed carefully with your real estate agent. Typically, you will complete an offer sheet with the help of your real estate agent and your agent will then present the offer to the homeowner and the owner’s real estate representative. The owner will accept the offer, reject it, or make a counter-offer. Inspections include lead, radon, water quality (if on well water) and flow tests, and septic tank inspections. Structural inspections are particularly important. During the inspections, an inspector will determine if there are material physical defects and whether expensive repairs are likely to be required in the next few years. Inspections often require two or three hours, and buyers should attend. This is an opportunity to examine the property’s mechanics and structure, ask questions and learn far more about the property than is possible with an informal walk-through. To obtain a mortgage you must complete a written loan application and provide supporting documentation. Specific documents include recent pay stubs, rental checks and tax returns for the past two or three years if you are self-employed. During the pre-approval process, the loan officer will describe the type of paperwork required. Underwriters make sure you have represented yourself and your finances truthfully, and that you haven’t made any false or misleading claims on your mortgage application. Their standards are higher than loan pre-qualification requirements. A major part of the underwriting process is the appraisal of your prospective home, to make sure its value matches the size of the loan you are requesting. You will have to select a title company or closing attorney to prepare the final paperwork and host the closing. Prior to closing, all necessary documents will need to be assembled, including loan documents, deeds, and title. Before closing, buyers typically have a final opportunity to walk through the property to assure its condition has not changed since the purchase and sales (p&s) agreement was signed. At closing, transfer taxes must be paid and claims must be settled (closing costs, legal fees, adjustments, etc.). Usually, all necessary papers have been prepared by closing agents, title companies, lenders and lawyers. This paperwork reflects the p&s agreement and allows all parties to verify their interests – buyers get the property title, lenders have their loans recorded in the public records, and state governments collect their transfer taxes.